Banks have positioned themselves as a source of stability and reliability for centuries. They safeguard their customers' wealth, which means it is paramount that they are seen as secure and trustworthy. Any change to their business must be carried out in a way that avoids causing concern amongst customers. Making change easy and painless is part of a bank's job, but this can create the impression that banks are averse to change and blind to technological advances. "If it ain't broke, don't fix it" seems to be the mantra of the banking sector. It also seems like common sense given that a system failure at a bank could be catastrophic from both a customer and regulatory perspective. But the reality is that behind the scenes, banks have been innovating and bringing new technologies to the various aspects of their business. The idea that banks are stuck in their ways and don’t embrace innovations in technology clearly doesn’t stand up to scrutiny. Both technology and banking have moved hand-in-hand over the decades, often ahead of the curve. One example of this is cashless payments. Credit cards, the most familiar form of cashless payment, have been in existence for over 60 years1 . Debit cards appeared about 30 years ago, enabling direct transactions to and from customer bank accounts – no credit involved. And now it's all available on a smartphone app, rendering plastic cards obsolete – almost. Credit card companies now offer swipe or touch technologies that make the services offered to customers easier and faster than ever before. 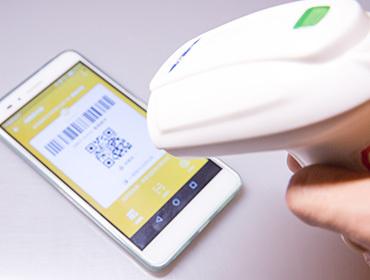 In some markets, where Quick Response (QR) codes are more widely used for fast transmission of information on smartphones, international brands are adapting and adopting QR codes2 . Cashless payments long predate credit cards – barter has existed for millennia. More recent banking terms, money orders and traveler's checks first appeared about 140 years ago. As a concept, cashless payments are not new at all, but the technology behind it has driven change – dramatically so, offering speed, scale, volume, interoperability and, importantly, security. It is here that banking and technology align. Jump forward a few decades to the 1980s and 1990s and you have the emergence of High Frequency Trading (HFT), or algorithmic trading, involving powerful data analytics and very low latency connections. When approved by the US Securities and Exchange Commission in 1998, investment banks were able to execute trades 1,000 times faster than ever before. That changed again with the introduction of nano-trading technology in 2011, which could execute trades within a billionth of a second. The ultra-low latency connectivity, essential for this type of business, is now being pushed into other areas of banking. During the past 3–4 years, digital wallet operators, such as Ant Financial's Alipay and Tencent's WeChat Pay have come of age, receiving wider acceptance and greater usage worldwide. During the first six months of 2017, these two operators helped drive the number of online payment users in China to 502 million. While China doesn't represent all global trends, it is very much at the forefront in terms of e-payment systems. The developments in China are likely to set trends for most other parts of the world. Both Alipay and WeChat Pay are looking to expand into the US, Europe, and Southeast Asia, to cater to Chinese tourists who travel abroad and are accustomed to making online payments. Alibaba's recent global agreement with Marriott International is one case in point3 . According to a United Nations report, Alipay and WeChat Pay enabled US$2.9 trillion in Chinese digital payments in 2016, a 20-fold increased over four years4 . Estimates by iResearch put overall Chinese third-party mobile payments at US$5.5 trillion in 2016, three times that of 2015. This contrasts with the US, where credit cards are more entrenched, which saw a 39% increase to US$112 billion, according to Forrester. Fueled also by the roll-out and take-up of Apple Pay, the trend towards e-payments is set to continue. What's very clear, particularly from the success of WeChat Pay, which is linked to the ubiquitous WeChat app, is that providing functionality and a great user experience is essential. Security is assumed. Integrating mobile payments and banking with the day-to-day living of individuals who are often on the move is good business. Users now want their banks to provide quicker and cheaper services anytime and anywhere, all in an ultra-intuitive and user-friendly way. Although micro credit continues to receive mixed reviews, it is here to stay with organizations – many of which are not traditional banks – offering loans to those in need in developing markets. This phenomenon has enabled a variety of businesses including online commerce companies like Alibaba, to enter the lending market and compete with banks. For banks, this may not have a significant commercial impact yet, but down the line it will. The small businesses of today will grow into the bigger businesses of tomorrow, and they will likely stay loyal to those lenders that helped them at the outset. An example of banks, data, and technology coming together, is credit.alibaba.com. Launched in early 2016, tapping data and know-how from more than 25 financial institutions and global credit reporting agencies, it was a milestone for SME credit reporting in China. This showcased how the market can find solutions to a problem to make finance and credit more inclusive for small businesses. In China, like in other parts of the world, especially in the wake of the financial crisis of 2008, banks under pressure to keep non-performing loans down preferred to lend to state-owned enterprises (SOEs), rather than SMEs lacking a credit history. At least with SOEs, the government would effectively underwrite the loan. The ingenuity of the solution is that it is based on sophisticated data analytics, available real-time, and draws on vast quantities of data. The result is far more accurate and timely decision-making than was previously possible – mitigating risk and offering far greater reliability than a meeting with the bank manager of yesteryear. Just as it has helped small businesses get access to capital, the market is also providing a solution for individuals looking for a loan or other financial services. In China, the number of people using Internet services to manage their money grew 27.5% during the first six months of 2017 to 126 million, according to the China Internet Network Information Center (CINIC). Again, this is all possible because of the powerful data analytics that underpin the services available. Lenders trying to evaluate risk where individual credit histories don't exist are coming up with alternative measures, often ones that look at lifestyle and behavioral patterns. Companies such as Lufax, Tencent, and Alibaba look at a wide range of data sets. They also have ways to analyze unstructured data, such as graphics, photos, and documents, thereby combining quantitative metrics with qualitative content. And, of course, social media feeds into that a rich stream of content by offering a closer look into people’' lives, activities, and preferences. What's very clear is that banking, like every other industry, is in the midst of a period of dramatic and rapid change brought about by digitalization. While change was constant and generally incremental in the past, it is now a wild ride that is keeping financial institutions and regulators on their toes as they try to keep up. The next two decades will see the banking industry change beyond recognition. It's happening faster in China and parts of the world with less legacy bricks-and-mortar banking, but it will be a global phenomenon. 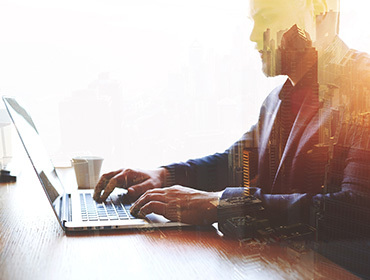 The evolution of banking in this way, driven by digitalization and rapid advances in technology, will change the nature of some town centers and result in less demand for certain job skills. But if banking services fail to keep up with these developments and instead seek to avoid the pain, banks run the risk of going the way of rustbelt industries in many countries. So careful planning is needed. It' not all doom and gloom, though; fresh opportunities do exist for those who want them. 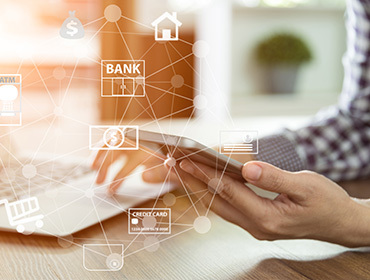 From a technology perspective, the challenges for banks are legacy modernization and delivering a new level of connectivity. Banks need far more advanced data aggregation and processing systems for regulatory reporting – including know-your-customer, or KYC, reporting – and to deliver new products and initiatives to customers. The latter, in part of a broader digital transformation, need to include mobile, omni-channel, and API technologies. 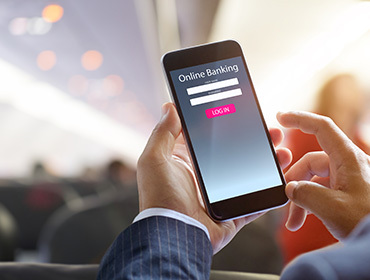 To succeed in this new very fast-moving business environment, banks need to seamlessly integrate applications, data, and devices, and at the same time provide a premium user experience. They need to meet the needs of increasingly demanding customers at any time, in any place, in a world that is now both mobile- and cloud-based. Those that embrace and tackle these challenges will be well placed to succeed. Improving operating efficiency: A significant part of a financial institution's cost base is IT applications and infrastructure maintenance, much of it to do with legacy technology. According to MuleSoft, industry analysts estimate that IT departments spend 60% to 90% of their budgets managing and maintaining older systems, leaving little room for investment in new systems or other initiatives. What is the best way to deal with this? Data integration: Financial institutions need to be able to access and interpret data real-time, yet collating and processing the data can be very difficult. It can be very expensive to deal with massive amounts of unstructured data, which is difficult to manage, protect, access, and process. An important question to address is how companies can best resolve these difficulties and convert the data into something that genuinely adds value. Migration to open source: Open source solutions involving software, cloud, and other platforms are increasingly popular. Software licensing costs, desire to avoid vendor lock-in, and source code protection, which in itself can draw public scrutiny, are all reasons why a growing number of banks are taking the open source route. It is an approach that supports the developer community and fosters innovation. What is the best way to migrate to open source? Banks need to have a clear strategy in place before proceeding with any sort of overhaul. Part of that should be to build on the strengths of their traditional advantages, including customer relationships, product know-how, networks, and brands. The incorporation of new technologies is also needed, including cloud, data analytics, and being available anytime anywhere. Of the options available regarding outdated infrastructure, to do nothing would say as much about an organization's management as its infrastructure – it is not a viable option. To replace the IT system completely may sound appealing, but that route is expensive, can take longer to implement, and presents far higher risks – after all, a new system can face issues in early stages of operation. According to Cognizant, about 25% of core banking system transformations fail without any result, and 50% fail to achieve the transformation objectives, while costs can either double or triple. Predictably, it's the happy medium that is usually the preferred option. This approach acknowledges the need for change, but not in the short-term. This approach typically has the lowest risk and is more manageable. It allows for a two-speed IT structure: one to keep the core functions operating, and another to fuel growth and innovation. As banking systems evolve, the real game-changer is cloud. Banking systems must be built using cloud architecture to ensure IT and business solutions are secure, scalable, flexible, efficient, and economical. It's difficult to imagine a bank not having cloud-based IT infrastructure in this day and age. It is a key competency to remain competitive. The single most important ingredient for a successful infrastructure transition is integration. In this context, integration connects the old system and the new one, while at the same time closing off and insulating the old system from further changes and coding. It effectively decouples the old and new systems, while keeping them effectively linked. From the outset, the programming, infrastructure, and all minor details must be absolutely correct. Small errors, poor coding, makeshift quick-fixes and so forth tend to accumulate on top of each other. Over the lifespan of the system this can cause considerable drag on the efficacy of the infrastructure, hurting budgets, competitiveness, and revenues. As illustrated above with the likes of Alibaba, Tencent, and other companies, banks need to extract as much value as they can out of the data they collate in order to serve customers better and, importantly, to carry out faster and more rigorous regulatory and compliance processing. Speed of response, being able to confirm a loan today rather than tomorrow or next week, is a critical competency for banks. Clever data usage can provide a more satisfying personal experience for the end user, such as an interface tailored to individual users, with the right mix of curated content, design features, and products. 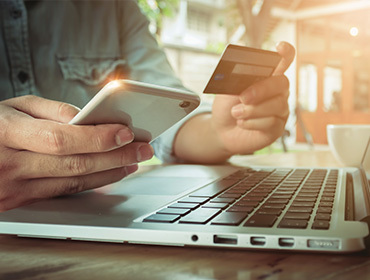 Banks that master the use of data will gain deeper insights into their customers' needs, recognize those needs at an early stage, and grow faster as a result. Banks need to ensure their services and products on all channels are available to customers at all times. The user experience is very important. Business will benefit from a richer user experience. To support this level of responsiveness, banks need to look beyond their traditional strengths to partnerships and a nimbler technology platform. HSBC has a long history, global scale, and an extensive suite of financial services.